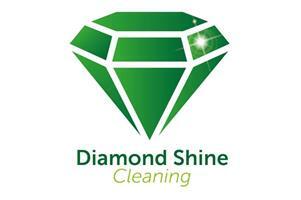 Diamond Shine Cleaning Limited - Cleaning Services based in Poole, Dorset. Diamond Shine Cleaning mission is to ensure quality service through our attention to detail, outstanding customer service and green practices. Our goal is to simplify our client’s lives by saving them valuable time and energy in the most environmentally responsible manner. By taking cleaning off your “to do” list, time is freed up for family, friends and fun! Our staff is comprised of professional Home/Office Cleaning Technicians, providing protection for our clients. If there were any accidents, either property or personal injury to the cleaner, our insurance would cover any loss. Our employees have been rigorously trained. Our company is fully bonded. In addition, we carry Public Liability Insurance. You can rest assured the person in your home has integrity, is trustworthy and reliable. We really want to earn your business for the long term and this is why we offer such amazing prices without sacrificing quality. Here at Diamond Shine Cleaning , we price our services according to our client’s budget; what works for our clients works for us. Our pricing structure is simple and very competitive. We are flexible with what works best for you. Our prices are based on an hourly rate. Our Mission: To make our customers feel like they are the most important people in the world - because to us, they are. We accomplish this by recognising integrity as our core value from which we deliver exceptional service, state of the art cleaning and the utmost respect for our employees and our clients.